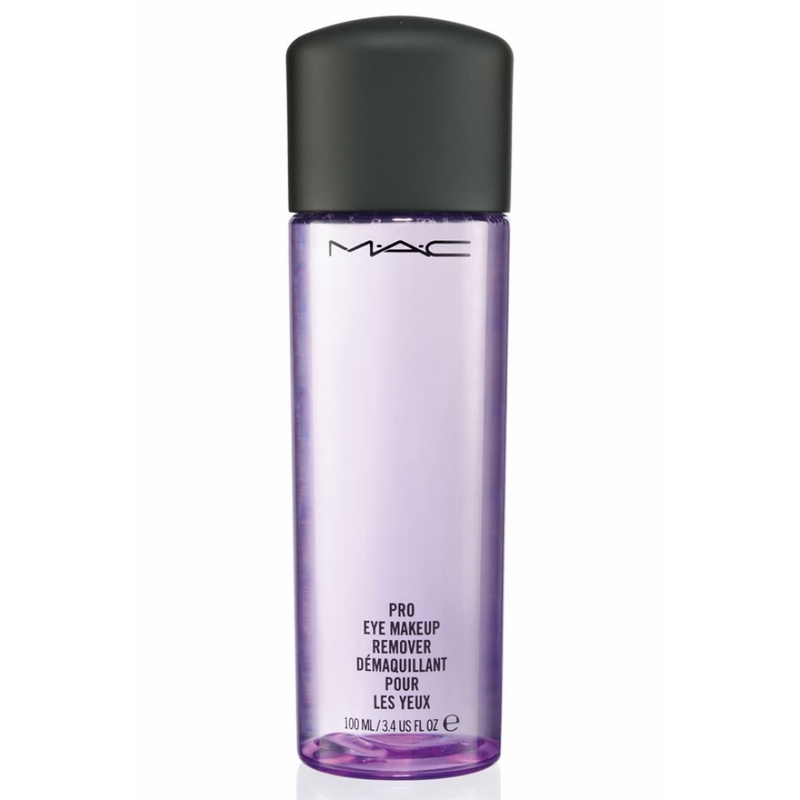 I recently finished off my huge bottle of MAC pro eye makeup remover. It lasted me a really long time! 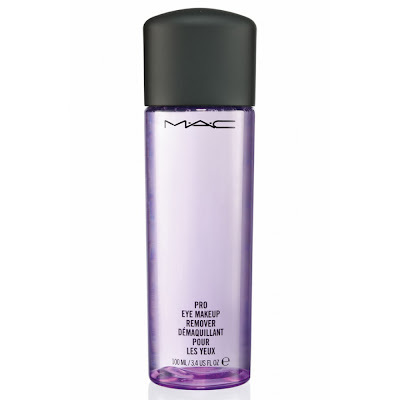 I had one that was in older white and black packaging, it now comes in a clear purple hued bottle (shown above). The new one only comes with 3.4 oz (100 ml) of product, but the older version comes with a whopping 5 oz (150 ml)!!! Let me tell you, I have a hard time finding eye makeup removers that work for me. They almost always sting, burn and irritate my sensitive eyes. I usually go for lotions that don't irritate, but then I'm left with blurry eyes from oils that are hard to wash off. MAC's is so gentle, that it feels like I'm taking off my makeup with water. No irritation at all. The formula is fragrance free, and the ingredients list is basic, excellent for someone with sensitive eyes. I must mention that I do not use waterproof mascara (I lose too many lashes) so I'm not sure if this would work for that. I found it to quickly and easily remove regular mascara, waterproof eyeliner and eyeshadow. I didn't have to pull on my eyes at all. When wearing very heavy liner and lots of primer/shadow I did have to go over it twice. But it did take it off. I will be honest and say that you can probably find something similar to this for a lot cheaper. However, if something works well for me I don't mind spending a bit more money instead of buying cheap stuff that has so much added irritants/fragrance it ends up in the garbage anyways. MAC also sells the travel size of this (1 oz) for $12 CAD, not too bad if you want to try it out. I'm looking to try new makeup removers. Thanks for this review! Great review, I'll have to give this a try!